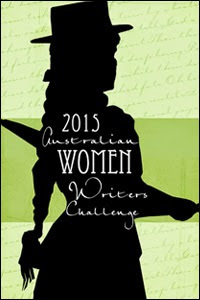 I’m including Anna Jaquiery’s THE LYING-DOWN ROOM as part of my Australian Women Writers Challenge reading even though it is set in France and the author has lived just about everywhere. But she lives here at the moment and that’s good enough for me. THE LYING-DOWN ROOM takes place during a stifling Parisian summer. Commandant Serge Morel and his team are called to the scene of an unusual death. An elderly woman has been murdered and displayed bizarrely afterwards. There are few clues aside from some odd-looking religious pamphlets found in the house. Several other elderly woman contact the police regarding a strange pair of religious zealots calling on them but is there a connection? And if so how on earth will police track down the pair who’ve left no indication of who they are or what organisation they are affiliated with? It must be so hard for a modern crime writer to develop a main character that is different enough to stand out from the crowd but not so different they are just a collection of quirks but Jaquiery has managed it with aplomb. Serge Morel is a delight to meet. He is middle-aged and lives with his father. He does have a relationship of sorts – one my mother would describe as ‘very French’ – but is somewhat obsessed by an old girlfriend. He is good at his work and dedicated to it, only relieving his stress through complex origami, which also helps to gives us an indication that Morel will not be the kind of cop who rushes to judgement.. In short he has some minor flaws but is not a slave to alcohol or the other demons common to fictional detectives and yet he is intriguing. There is the makings of a good duo between Morel and his immediate subordinate, Lila Markov. She is younger and a little more vulnerable, though can hold her own with the misogynistic pathologist, and I would be keen to see more of her, and the two working together, in the future instalments I hope are to come. In fact the whole team dynamic has a realistic feel to it, helped by along by the inclusion of relatively minor points but ones which bring the group to life such as the colleague who is missing work most days because his is terminally ill and the team all struggle to overcome the awkwardness of the situation. The story is a winner too, taking us all over Paris, into rural France and even into Russia as it provides an explanation for the woman’s death and the crimes which follow it. I thought Jaquiery did a great job of building us up to the end so that it wasn’t so much a ‘gotcha’ dénouement but a careful revelation that is entirely understandable. As well as the parts of the story that deal with the investigation and the personal lives of the investigators we also see some of the story unfold from the point of view of the main suspect and both elements are handled equally well. 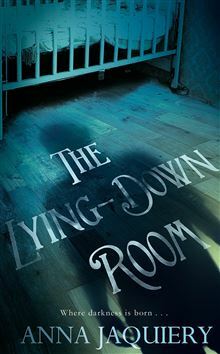 THE LYING-DOWN ROOM has lingered in my mind for the week or so since I finished it which is always a sign to me of an above average read. Its characters make me want to know them more and I can’t wait to return to France and see what they are all up to. Strongly recommended.